Nomad Surfers offers a selection Surf Resorts in the world’s most incredible surf locations. Surf resorts suitable for families, couples and also groups of friends. Choose you surf resort in stunning locations like California, Panama , Mexico and of course, Indonesia. Enjoy your surf holiday in exquisite and spacious settings. 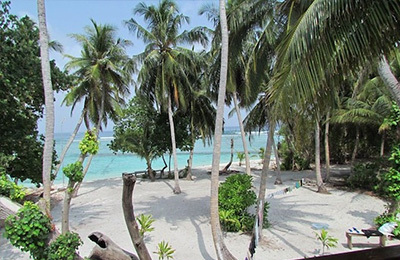 Jail Breaks Surf Camp - Himmafushi, Maldives Guests overall rating: ★★★★★ 5 based on 5 reviews. 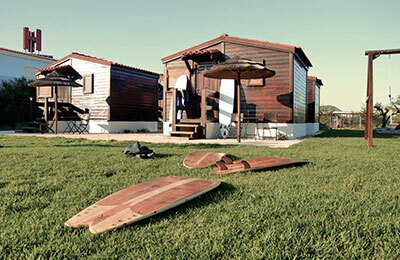 Costa Teguise Surf Camp - Las Caletas, Lanzarote Guests overall rating: ★★★★★ 5 based on 2 reviews. 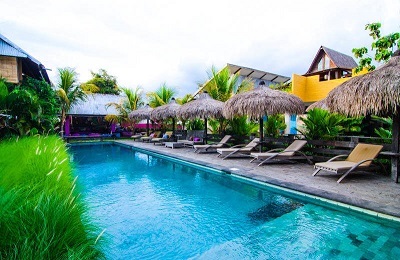 Santa Maria del Mar Surf Camp - Aposentillo, Chinandega Guests overall rating: ☆☆☆☆☆ 0 based on 0 reviews. Our Hotel is located on the beach in Santa Maria-Aposentillo, one of the most beautiful and listed on the Nicaraguan coast, in the heart of the “Free Surfing Road”, offering many things besides a Worldclass Surf. 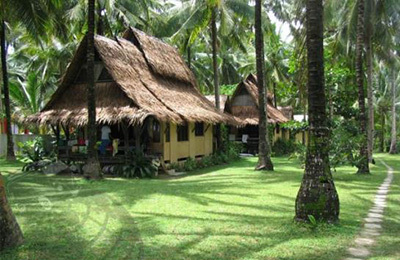 Banyak Surf Resort - Pulau Balai, Sumatra Guests overall rating: ★★★★★ 5 based on 4 reviews. 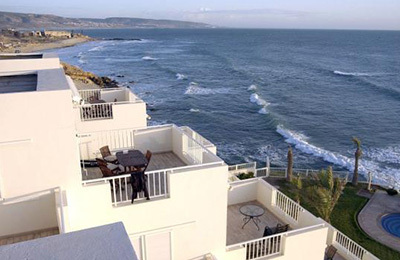 Killer Point Surf Apartment - Agadir, Taghazout Guests overall rating: ★★★★★ 5 based on 3 reviews. Green Bowl Surf Camp - Bukit, Bali Guests overall rating: ★★★★★ 4.5 based on 2 reviews. 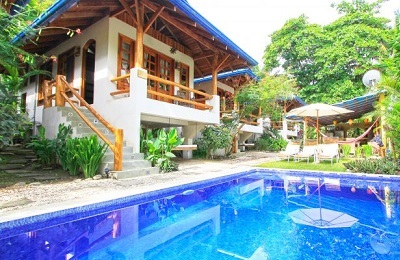 Cloud Nine Surf Resort - Mindanao, Siargao Island Guests overall rating: ★★★★★ 5 based on 3 reviews. 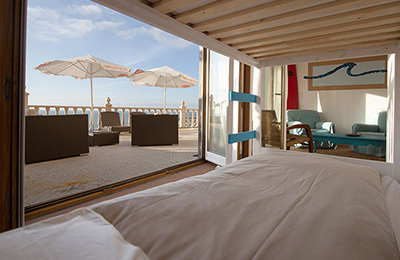 We can book you in the best two surf accomodations in Cloud Nine. 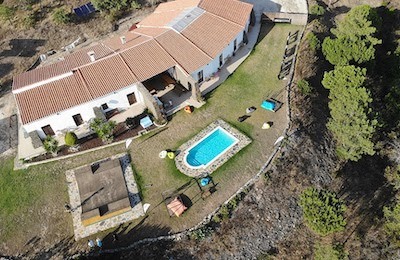 A more exclusive accomodation right infront of Cloud Nine and another very good value accomodation just 200 metres to the left but great price! Padang Padang Surf Camp - Bukit, Bali Guests overall rating: ★★★★★ 4.8 based on 5 reviews. Surf Camp Bali PADANG PADANG is only 5 minutes from the best surf breaks of Bukit, with private and shared accommodation in comfortable and traditional bungalows or new villas surrounded by a beautiful traditional Balinese garden. Relax at the swimming pool or enjoy the balinese life and its incredible surfing ! 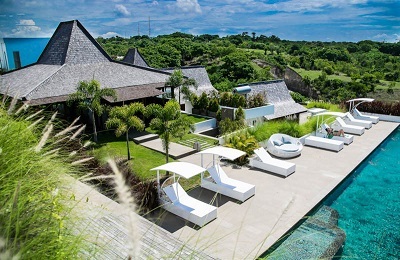 Surf the best waves in Bali or chill out in a white secluded beach with no one else around. 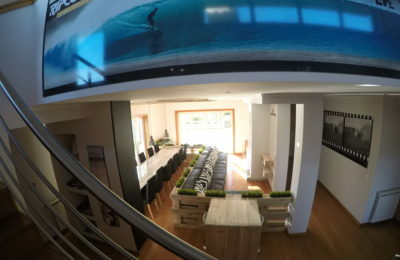 Choosing this surfcamp you will stay. Cokes Surf Camp - Northern Atolls, Male Guests overall rating: ★★★★★ 5 based on 2 reviews. 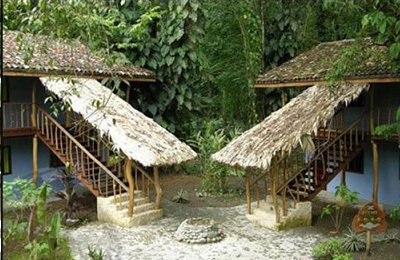 MACARONIS Surf Resort - Sumatra, Mentawai Guests overall rating: ★★★★★ 5 based on 7 reviews. All-inclusive Mentawai surf trip packages on a year-round flexible schedule. 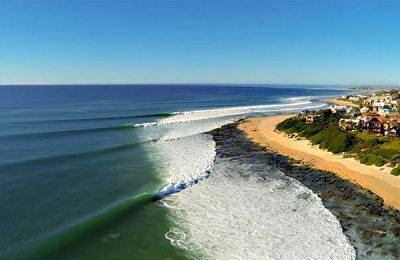 Macaronis Surf Resort is situated over picturesque Silabu salt water lagoon, right in front of one of the most consistent top quality waves in the world. 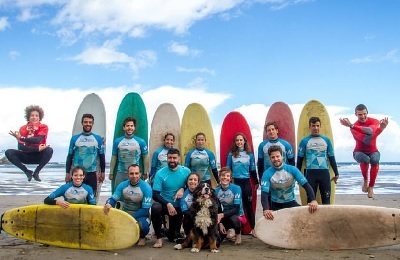 A unique experience to surf 'Macas', one of the world's great surf breaks. 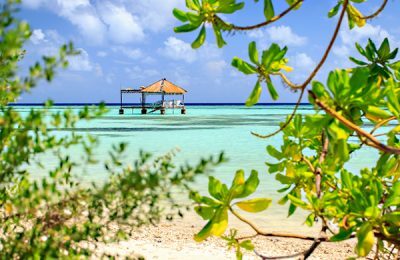 Beginner lessons also available.The resort features all the modern conveniences you would expect, including A/C, hot water, a beautiful lagoon-style swimming pool and a Spa, offering massage and skin-treatments. In addition to incredible surfing, guests can enjoy kayaking, paddle boarding, fishing, snorkeling, and magnificent sunsets that occur over the lagoon at the end of each day. 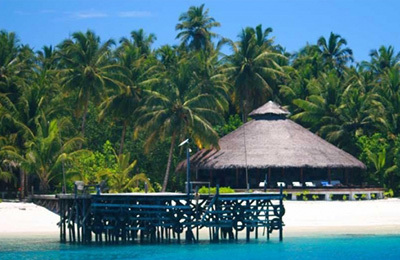 Aloita Surf Resort - Mentawai Islands, West Sumatra Guests overall rating: ★★★★★ 5 based on 3 reviews. 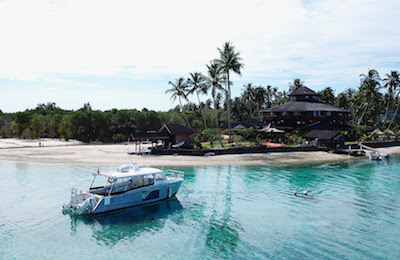 Welcome to Telescopes Surf & Spa Resort Mentawai on the island of Silabok, off the north of Sipura Island. 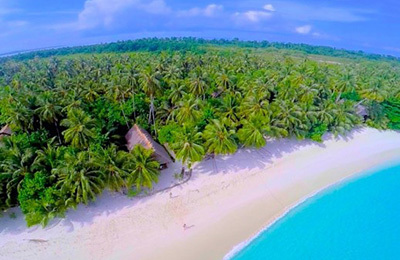 The most refined, classy and comfortable resort ever built in Indonesia's Mentawai Islands. Everything you have heard about one of the worlds most desired surfing locations is true. Now we can say the same for diving and fishing. The Resort offers a smorgasbord of aquatic activities in crystal blue water right at your front door. The surf shuttle will zip you twice daily to breaks right in our backyard such as the famous Telescopes. The only surf resort OPENED ALL YEAR!! 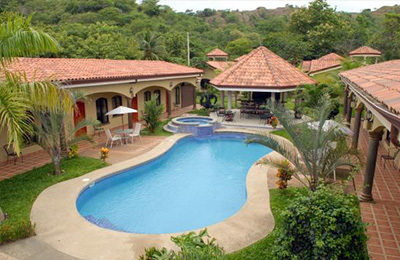 PLAYA HERMOSA Surf Tours & Surf Resort - Puntarenas, Nicoya Peninsula Guests overall rating: ☆☆☆☆☆ 0 based on 0 reviews. First class surf resort in Playa Hermosa, Costa Rica's most consitent and quality surf destination. Guided surf tours with expert local guide. Rote Island Surf House - Nemberala, Rote island, NTT Guests overall rating: ★★★★★ 5 based on 3 reviews. 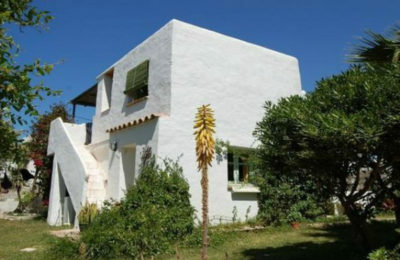 Los Caños de Meca Surf Camp - El Palmar, Cadiz Guests overall rating: ★★★★★ 5 based on 3 reviews.